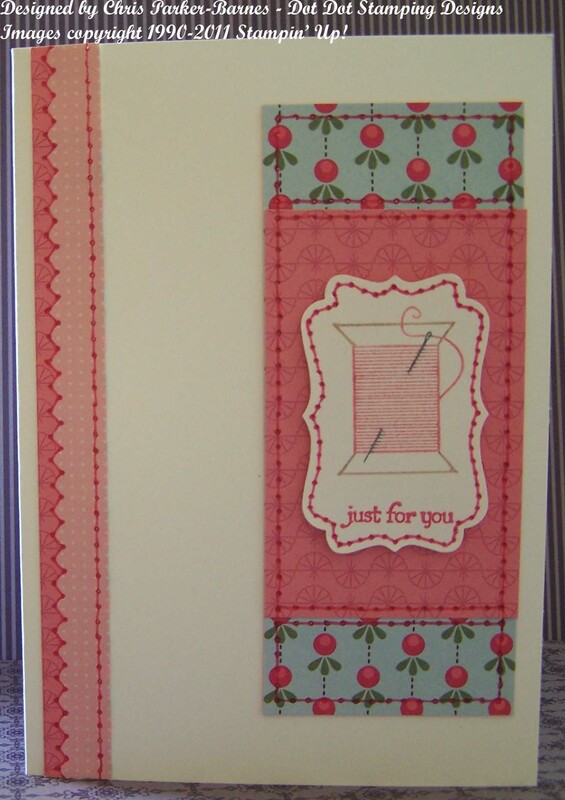 The papers are from the Sweet Stitches DSP which was in Autumn / Winter Mini Catalogue, and the Stamp Sets are Sew Suite (also from the Autumn / Winter Mini) and Teeny Tiny Sentiments, which is currently available. And, as you can see, lots of my favourite – faux stitching – even some freehand, which kept me occupied for a while! And I have used markers to colour the main image so that there are different colours for the thread, spool and needle. I’ll be back soon with some more.